A model for what is possible sparked by the ingenuity of University of Utah students. 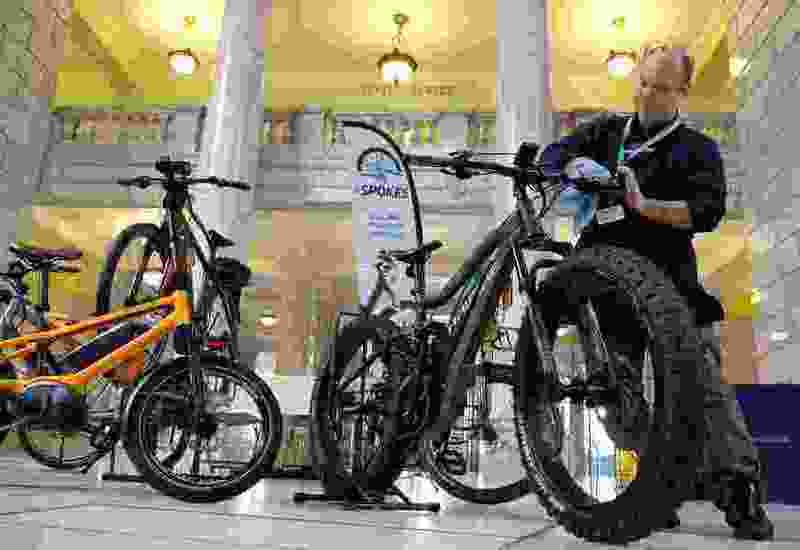 Francisco Kjolseth | The Salt Lake Tribune Dan Feldman, a manager with eSpoke Electric Bikes, cleans up a Haibike Full Fat 6 pedal assist electric bike on display as part of Clean Energy Business Day at the Utah Capitol on Tuesday, Feb. 14, 2017. I feel hopeful this week. It is the University of Utah’s Earth Week and, as chief sustainability officer, I have the privilege of watching the next generation lead the way by saying yes to sustainability. In 2002, a dedicated group of students first committed their student fees to renewable energy. Little did they know that, 15 years later, with the incredible partnership of the energy and sustainability team, the university would be purchasing half of its electricity from renewable geothermal and solar energy sources. This will reduce the U.’s carbon emissions and help us achieve better air quality for all of Salt Lake City. And air quality is critical to everyone in the Salt Lake Valley, especially when we experience those dreaded inversions. Because 50 percent of Utah’s urban air pollution comes from tailpipe emissions, we have supported several community programs to provide discounted electric vehicles and rooftop solar, which reduce our emissions. This spring we’ve initiated a new program, U Bike Electric, a community discount purchasing program to make it easier for people to get out of their cars and onto an electric bicycle. With no emissions, e-bikes offer an easy way to not only get around the U.’s hilly terrain, but all across the Wasatch Front. And make no mistake, they are they fun to ride! To offer the program, the University of Utah Sustainability Office is partnering with local clean energy advocacy group Utah Clean Energy. This partnership has pioneered multiple successful community purchasing programs, including U Community Solar and U Drive Electric, two nationally recognized programs that spurred local markets and contributed to a more sustainable future. Using the same model as these past programs, U Bike Electric will help consumers find the best option for their commuting needs by offering discounts on various e-bikes during a specified timeframe. We invite everyone to join in to get some exercise and have fun while we clean up Utah’s air. So, what are our students up to now? In 2012, a group of graduate students began organizing around the revitalization of Red Butte Creek. We just received a $365,000 grant from the Utah Division of Water Quality to continue that work, led by the Center for Ecological Planning and Design. And every day, our students inspire us to bigger and better things. Students power the Edible Campus Gardens, the fall Farmers Market, and 205 campus projects supported by the Sustainable Campus Initiative Fund and our Revolving Renewable Energy Loan Fund. But it’s not just the projects that inspire me this Earth Week. Students say “yes” every day to studying sustainability in more than 200 courses offered across campus, in disciplines ranging from communication to urban planning to math. These students are supported by the tireless labor of the U.’s faculty. Now 140 faculty are affiliated with the Global Change & Sustainability Center, a hub for interdisciplinary research on urgent social and environmental issues. Faculty working with their terrific students are leading research in local and international water security, the intersection of climate and society, and many more areas. It seems to me that no matter where you look, you’ll find student innovation and creativity leading the way. This week and every week it’s their passion, their commitment, and their yes that leads the way. The future — renewable- and ingenuity-powered — is indeed bright. 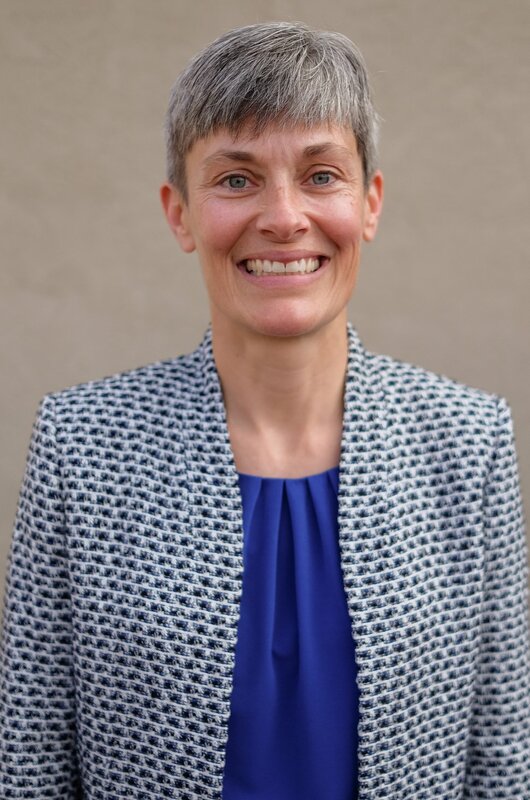 Amy Wildermuth is the chief sustainability officer of the University of Utah.